There are of course several different styles of grilling, each with its own characteristics. Gas grills come with several benefits, including maintaining a constant temperature. The process is faster, since the heat can be easily turned on or off. The amount of heat is simple to control, ensuring that your meal is prepared properly. This can be helpful if you are cooking for people with more individualized tastes. Cleaning up afterward can also be easier compared to other types of grills. When you are away from home, having a reliable way to prepare food is important. Likewise, you may not wish to have your options limited by employing a grill that can only be operated one way. Using the Outdoors Unlimited RV Gas Grill will provide you with more options when needing to prepare food during your next camping trip. 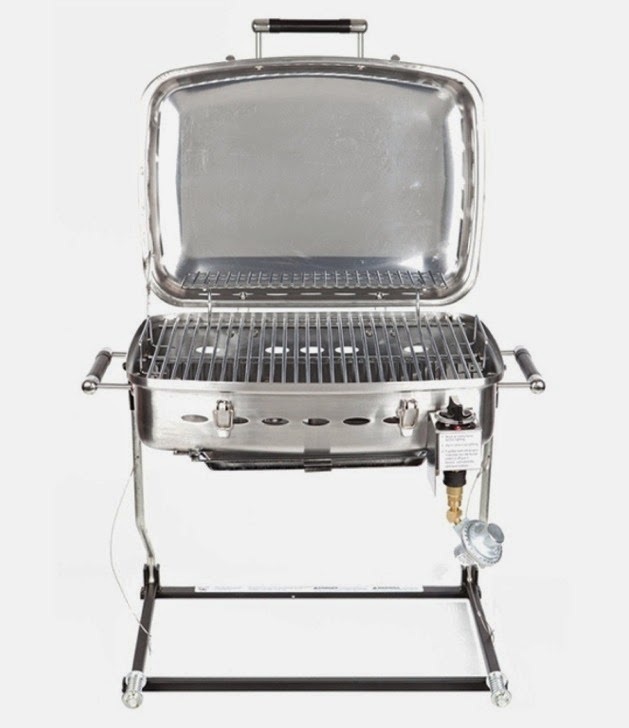 This grill will work not only as sidekick mounted to your RV, but also doubles as a tabletop grill. The large handles increase the portability and make it easier to transport, freeing up space as needed. This versatility is achieved through the use of the mounting bracket, which can be adjusted into a stand so the grill can sit on a table if necessary. The stainless steel construction of the grill makes it a durable piece of equipment, while also providing a stylish, modern design. The large grilling surface can accommodate a group, while the included warming tray and cooking rack can help you prepare meat or vegetables the way you prefer. 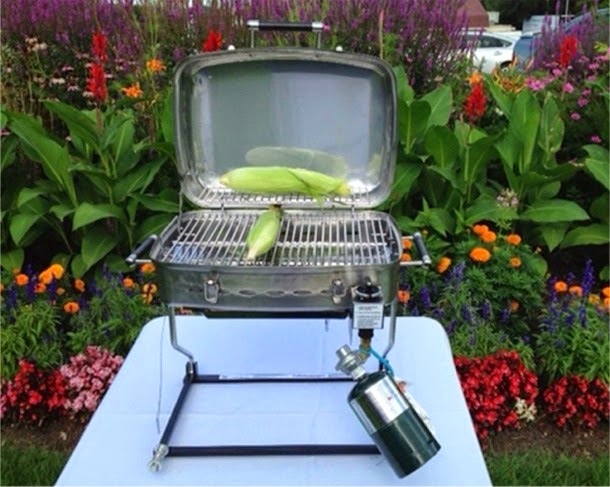 A separate hose kit is available that will connect the grill to your RV.